Another year noticeable by its lack of concrete progress in the way we Arabs run our affairs. Democracy remains a distant dream for some, while for many it has become a repulsive concept. Ever since it was adopted by the US to justify direct military action in the Middle East it has become a soiled concept for the average conservative Arab Muslim. This fact has not been lost on the most radical Islamist movements. They have swiftly moved to highlight the Western origin of this form of government, which according to them, is at odds with the Quran and Islamic governance. The more pragmatic organisations, such as the Egyptian Muslim Brotherhood, will continue to show a superficial commitment to its principles as long as they are in opposition. On the eve of 2009, scoping the Arab nation from the ocean to the gulf, a pessimistic picture emerges. Military dictatorships still rival absolute monarchies in how well they stifle free speech and prevent democratic debate. They have succeeded in maintaining the status quo on the internal front and the regional scene, reassuring their elites and the American bully. Things are unlikely to change with the Obama administration taking charge in a few weeks. The man after all never really promised any major shake-up of his country’s foreign policy, and given the challenges he faces on the economy is unlikely to adopt a revolutionary approach in the region. In the new year, we are likely to witness the gradual withdrawal of US troops, leaving behind a deeply scarred and divided Iraq. All the odds are on an internal civil conflict pitting Sunnis, Shiias and Kurds against each other. We are also likely to see more bloodshed in Palestine and Lebanon, as the Israelis talk peace and seek revenge. 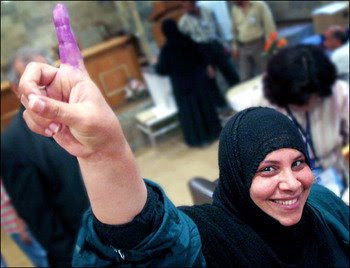 What we are unlikely to witness is a democratic ‘One man, One vote’ election in an Arab country that would generate a reformist majority tolerant of the opposition, protective of minorities and most importantly respectful of the rules for a peaceful democratic transition at the end of its mandate. This seems a simple proposition that, except for short lived exceptions, Arabs have failed to implement since they were granted (nominal?) independence from colonialism in the last century. The sectarian Bazaars in Lebanon and Iraq do not fulfil the above ambitions; neither does the Hamas victory at the Palestinian legislative elections. I was asked once by a British tutor why Arab societies appeared immune to democracy. Although I was quick to point out that the abuse of power was neither a purely Arab problem nor solely driven by local interests, I was unable to put forward a lean convincing argument. It led to some soul searching and the realisation that democracy is a culture to be cultivated and a behaviour to be acquired. Its practice and implementation on the ground will not come as a gift from tyrannical regimes or at the instigation of foreign powers. It can only start by fighting the individual battles against our own prejudices, our own shortcomings and our self-doubt before we are able up to take the battle to our oppressor. Confronting the old; socially, religiously and ideologically is unavoidable; judging from the journey of human society since its inception. Since our revolutions have either failed or morphed into monstrosities, my hope is that 2009 will bring the dawn of Arab reformation.